The Senate has approved the request for the conversion of Higher National Diploma (HND) to degree programme. 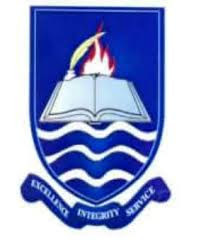 With this approval, Higher National Diploma (HND) graduates wishing to upgrade their certificates to university degrees can do so by application so as to be admitted into 400 level undergraduate programme of the university for a period of one year. The Director, Centre for Continuing Education, Dr Emmanuel Chisa Ibara while making the prayer said that the programme would provide suitable and flexible academic lectures to facilitate the conversion. Those who graduated in Accountancy, Management, Office and Information Management, Marketing, Computer Science, Catering and Hospitality Management, Library and Information Science, Agricultural Science, Human Kinetics, Health and Safety Education and Technical Education (options in Building, Electrical and Electronics), desiring to earn B.Sc or B.A degrees are advised to apply for admission into the programme.